Karen (from Teen Librarians Toolbox), Congrats! You won the ARC of UNTIL I DIE! 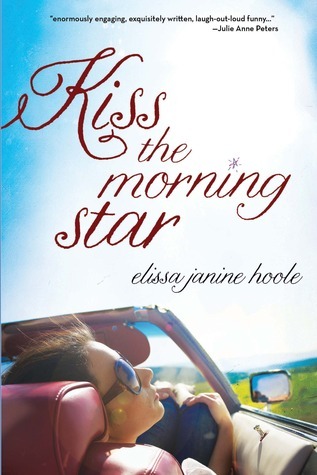 And the summer giveaways continue this week with KISS THE MORNING STAR by Elissa Janine Hoole. Simply comment to enter. 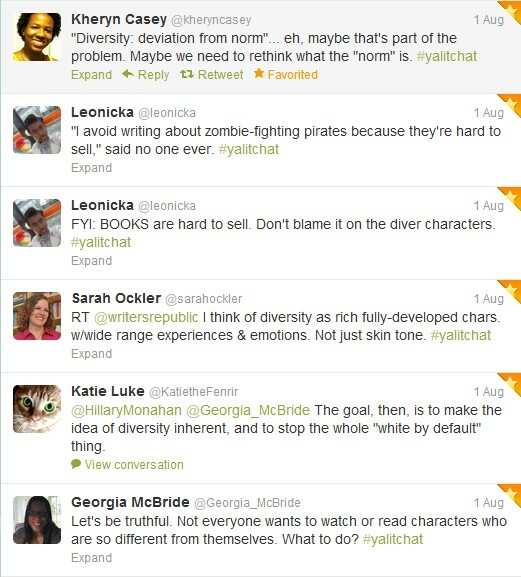 YALitChat is consistently good, often with a range of authors chiming in. 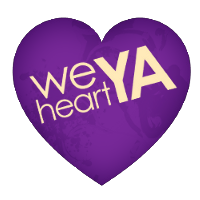 Great discussion about What's authentic in YA? Fresh from the mouths of teens. Hopefully a regular occuring chat. I mean, this was all before she even arrived in the US. 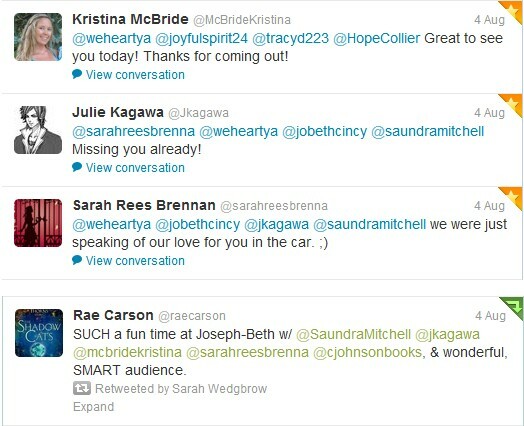 She and Saundra Mitchell went for a whirlwind weekend of events before finally stopping in Cincinnati along with Rae Carson, Julie Kagawa, Julia Karr, Christine Johnson, and Kristina McBride. Stop back on Thursday for a full recap and photos!! Great tweet roundup! 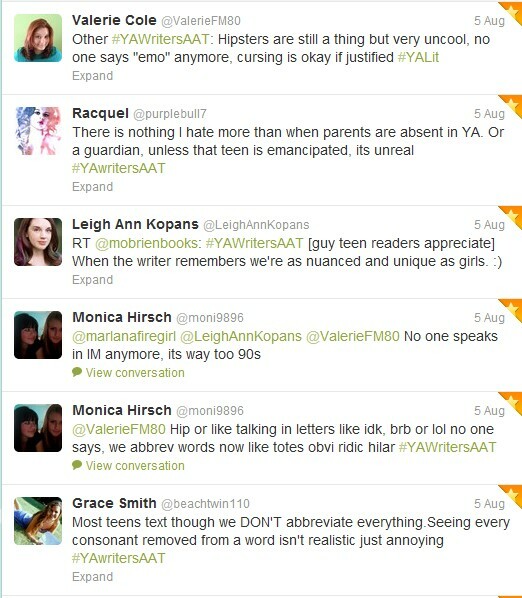 You remind me that I always forget about #YALitChat. Bad me. @Leeanna...we always seem to catch the end of the discussions. 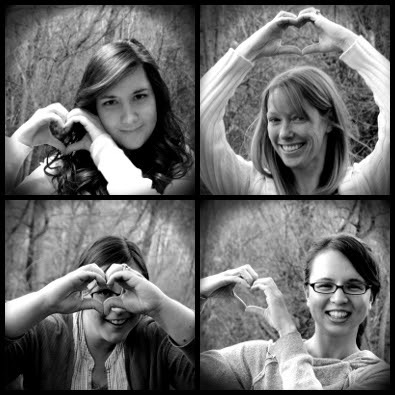 hashtags are our bff's. 12 hour drive? Yeah, good call on that one! Still, would have been awesome to see you. @Chelley...teen slasher, I mean who would have predicted that?!? Really looking forward to it. Thanks for commenting. SRB *is* hilarious! I had no idea. 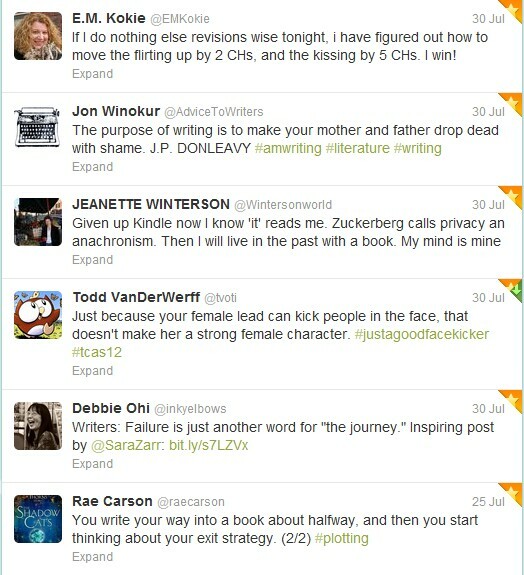 And I loved all the writing advice. 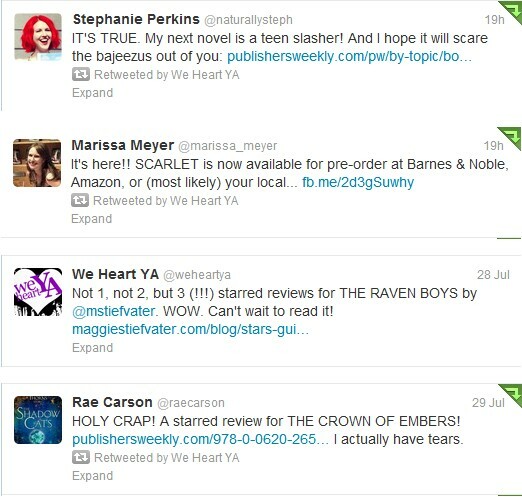 I am so jealous you got to meet all those wonderful authors!!! Julia Kagawa is one of my favorites!! !